Length: 3/4" Chinese Zodiac symbol for the "Ram". 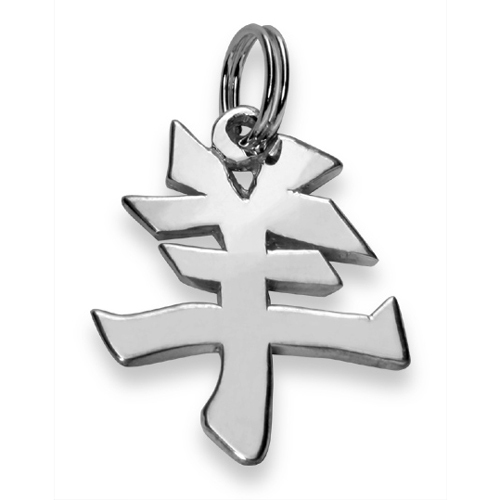 English translation of the word "Ram" is engraved on the back of the pendant. Ram, an uncastrated male Sheep Item is available as a pendant.